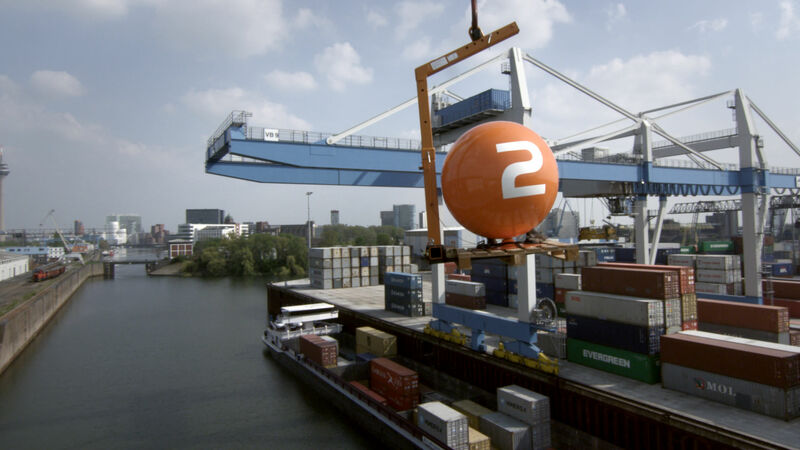 These Station Idents for TV channel ZDF were shot with an octocopter at the Container Terminal in Düsseldorf . 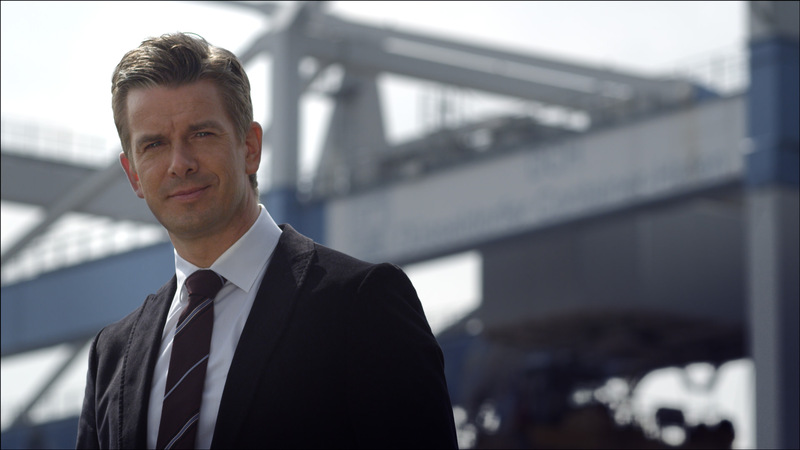 We supervised the shoot from the post-production perspective and made sure that popular presenter Markus Lanz wasn’t at risk for one second – he stayed on the ground during the whole shoot and we lifted him up in the air digitally. Besides the compositing, we also took care of the edit and the color correction.